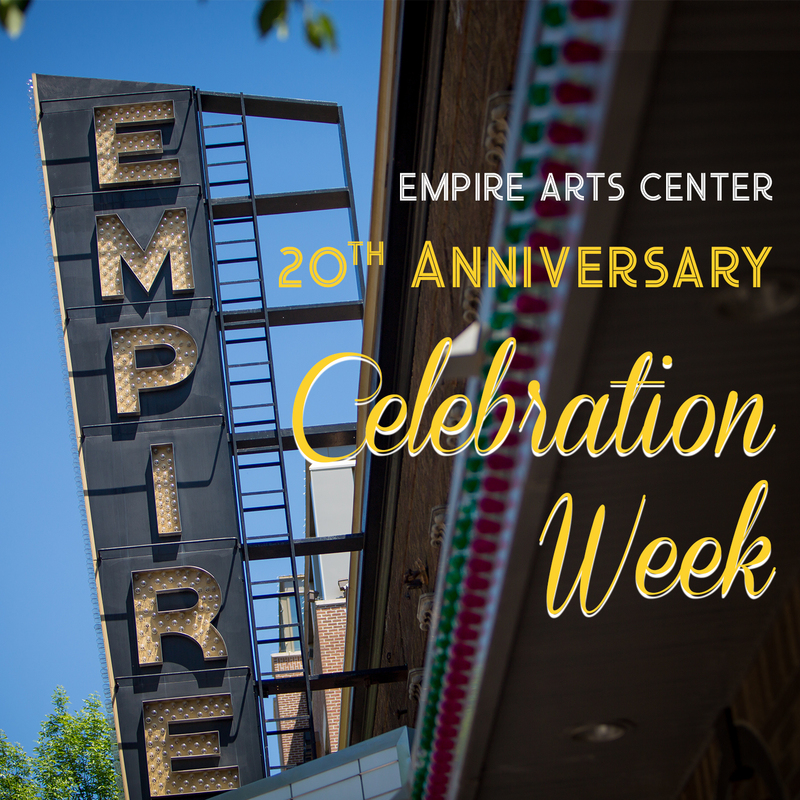 The Empire Arts Center will celebrate the 20th anniversary of their iconic renovation this month with a week of free events for the community. Built in 1919, the Empire theater spent 75 years as a local movie house. After the Empire showed its last film in 1995, the Grand Forks community raised over $1.4 million to make it into a community arts center. After major renovations, in the midst of which came the flood of 1997, the Empire Arts Center opened the region’s finest renovated historic theater in the spring of 1998. Two decades later, an estimated 600,000 visitors have enjoyed a play, concert, film, or other event at the Empire Arts Center since it opened. The facility today is in use at least 300 nights per year, and it is the proud home for many local arts groups as well as its own artistic programming, such as Empire Theatre Company. The free week of events opens with a community concert emceed by Terry Dullum and starring Job Christenson and Leonora Gershman; The Three Tenors (G. Paul Larson, Michael Marcotte, Evan Montgomery); The North Dakota Ballet Company; and the Empire Theatre Company. Music will also be provided by the Northern Valley Youth Orchestras. Tickets are required for this free event and are available through the Empire box office. The full schedule of events is below. This week is made possible thanks to the support of many generous sponsors. Underwriters: Hal & Kathleen Gershman Family Foundation, Icon Architectural Group; Directors: Alerus, HB Sound & Light; Headliners: Brady Martz, Bob & Sally Clayburgh Family Foundation, Happy Harry’s Bottle Shops, Rydell Cadillac, Xcel Energy; Conductors: Greater Grand Forks Convention & Visitors Bureau, Townhouse Hotel.